So I went to the public pool this weekend. It was awesome, nice facilities, great weather, and fun times overall. We even go to play a game of flag football. After that, we went to eat dinner and that the firemen got out of the firehouse and were eating ice cream at Bruster's and they took not one but all three fire trucks with them. Here is one of them. 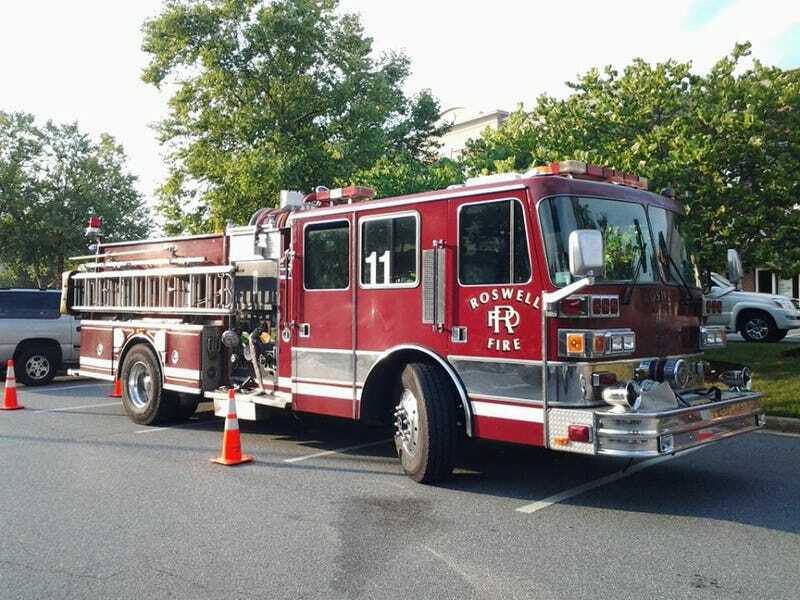 God I love fire trucks... and yes, all three of them were parked like this.